My name is Taylah Halfhyde and I feel so passionate about helping women realize their true potential and living a life of their dreams. 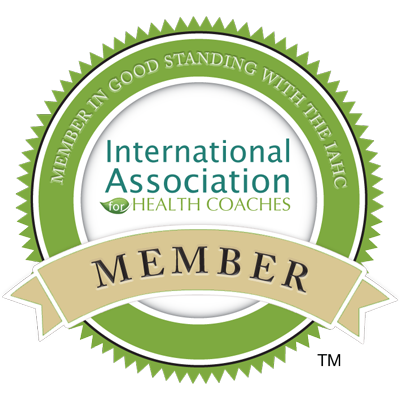 I am a certified Holistic Health Coach having completed a diploma with the wonderful Institute for Integrative Nutrition in New York. During my training, I studied over 100 dietary theories, practical lifestyle management techniques, and innovative coaching methods with some of the world’s top health and wellness experts including Dr. Andrew Weil, Dr. Deepak Chopra, Dr. David Katz, Dr. Walter Willett, and Geneen Roth. My education has equipped me with extensive knowledge in holistic nutrition, health coaching, and preventive health. Drawing on these skills and my knowledge of different dietary theories, I work with women to help them make lifestyle changes that produce real and lasting results. With an interest in health & wellness from a young teen, I had always been conscious of the foods I ate and the amount of exercise I did from the age of about 15. My main concern was eating foods that made me “look good” not so much make me “feel healthy and feel good about myself”. I cringe when I look back at how naive I was..
After high school, I went on to study a Diploma of Popular Music Performance majoring in Vocals. Singing was my life, growing up with a family of singers and musicians. I performed as a soloist, in duos and in bands and went on to teach students after my course. Towards the end of my first year at music school however, I realised something was missing. How could it be though? I loved singing and it was all I knew. Well, my mother says she blames the gym and my fitness freak boyfriend. I decided to follow what I thought was just a “hobby” and something I enjoyed doing in my spare time and learnt a whole lot more about myself while I was at it. Becoming a health coach and communicating with other like-minded individuals gradually allowed me to become more in tune to my thoughts and feelings and perceptions of the things around me. I hadn’t just signed up to study “another” basic nutrition course. What called my name from the moment I saw the advertisement for IIN was unknown to me at the time, but it was such a strong pull and knew, (what I call the “universe” now), wanted me to go this way. It’s the whole kit-and-caboodle. It’s eating healthy, living an active life, having positive relationships, having a fulfilling career and creating a loving spiritual practise that keeps you in tune to your true self every day to live the life you love. I hope you have enjoyed reading “my story” and feel inspired to have a look around my site and the services I offer. Also, if you have any questions or feedback please fill in the form on the contact page so I can reply to you as soon as I can!